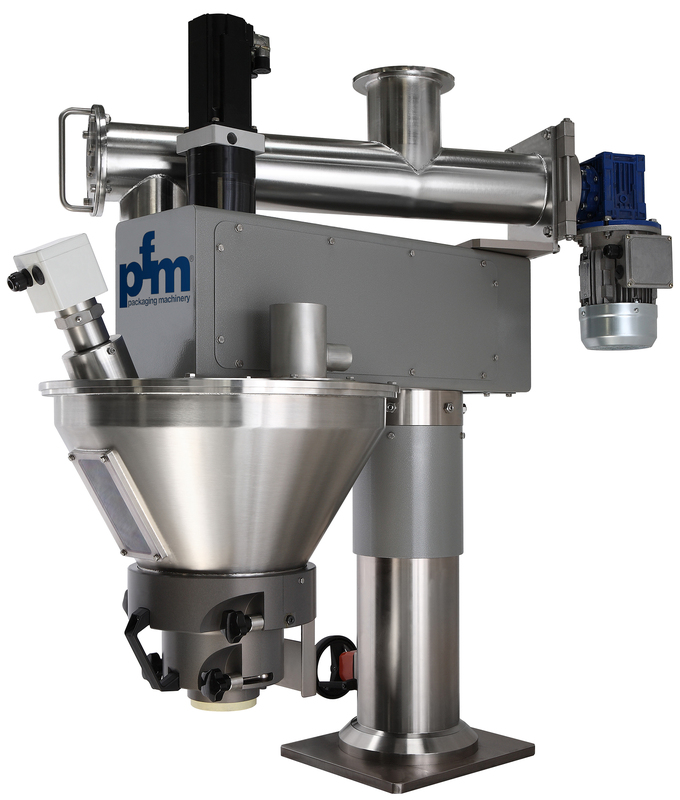 PFM Auger Fillers 5000 is a modern, state-of-the-art volumetric dosing system used for a wide range of powder products. Volumetric Dosing: the volume of product to be packed is determined by means of a screw system, which rotates to provide a preset quantity. The amount of product portioned is determined by the pitch and dimension of the screw. Precision and consistency: The meticulous design and construction of the PFM AF 5000 auger, the perfect finish of the product contact surfaces, the precision and consistency on the angles at which the screw moves and the way it rotates, guarantee the PFM AF 5000 maximum dosing precision. All the component parts have been designed and constructed with the utmost attention to detail in order to convey a regular volume of product. Products: sugar, salt, powdered drink mixes, cocoa, coffee, flours etc. 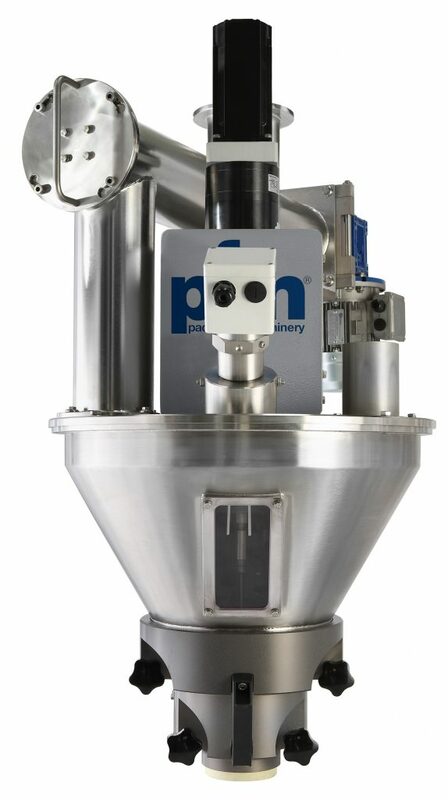 Advantages: The PFM AF 5000 is controlled by a PLC which simplifies the machine control functions: auger rotation speed can be controlled and altered at any time, even during operation, to suit changing ambient conditions and the different types of products to be portioned. All regulating parameters can be memorised and easily recalled by the operator.